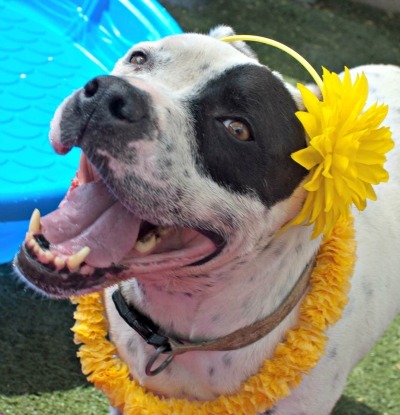 Your donations to the Petfinder Foundation’s Summer Cooling Campaign are saving lives at Pima Animal Care Center (PACC) in Tucson, Ariz., by helping the dogs there get adopted. The shelter used our Summer Cooling grant to install an overhead misting system in two visitation yards, meaning potential adopters can now comfortably spend time getting to know the resident dogs. Buddy Boy enjoys the cooler visiting yards at Pima Animal Care Center. “It’s a game-changer,” Animal Care Advocate Justin Gallick tells us. Here in Tucson, temperatures have already topped 111 degrees, and before the outdoor misting system was installed, potential adopters did not have a cool, comfortable place in which to visit with the shelter’s dogs. “Now they can take the time necessary to make that bond,” Gallick says. When we visited PACC to check out its new misters, we brought along kiddie pools for each of the yards. We also made cooling catsicles to share with the shelter’s cats (get the recipe for catsicles here), and pupsicles that we made by freezing low-sodium chicken broth in an ice cube tray. 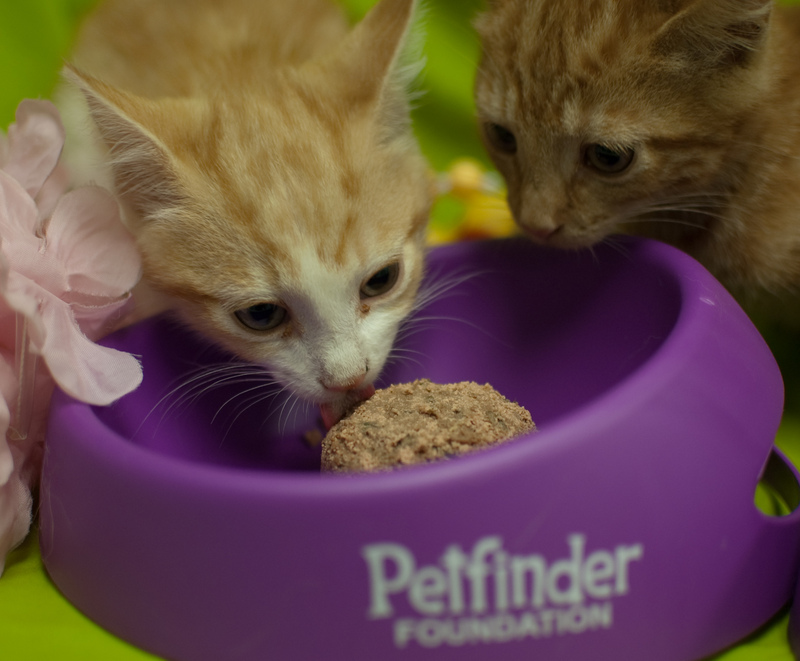 The grant came at just the right time, since the shelter – which takes in nearly 25,000 lost and homeless pets a year – is currently being inundated with unwanted litters (read our previous blog post about PACC). “It’s raining puppies and kittens,” Adoption Coordinator Ellie Beaubien says. While the misters in the visitation yards certainly make adopters more comfortable, they also give the shelter’s nursing-mother dogs a place to take a break from their puppies, Beaubien says. Before the summer, staff members would give each nursing mother half an hour of exercise and fresh air in the yards – but when the high temperatures arrived, that became too dangerous. 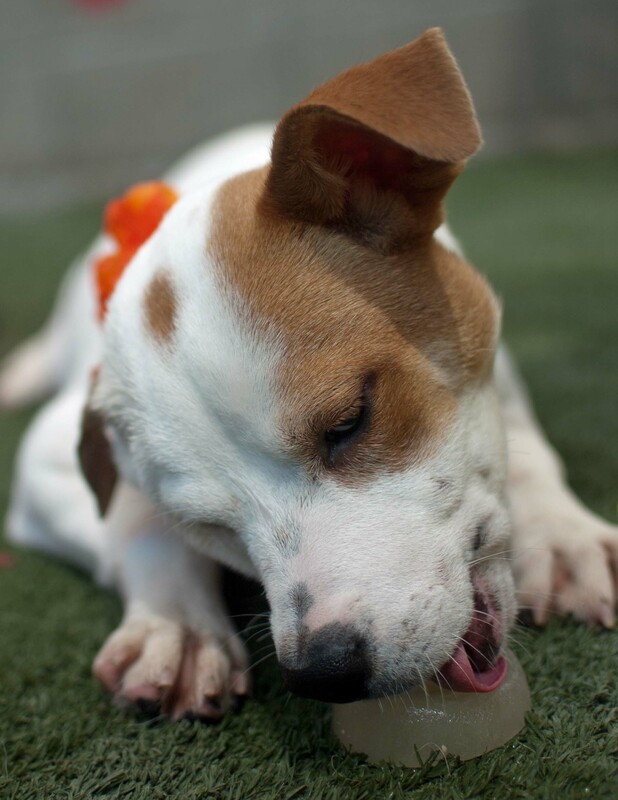 Donate to help us keep 10,000 homeless pets cool, and Orvis will match your gift!